In May, I enjoyed a fantastic long weekend in Wales with a dozen friends who were climbing Mount Snowdon for Opera for Change. Its director (and brother of my most fabulous friend, Cat) is the multi-talented Andy, alongside whom I catered the weekend’s meals. We had an absolute blast that weekend. I digress. 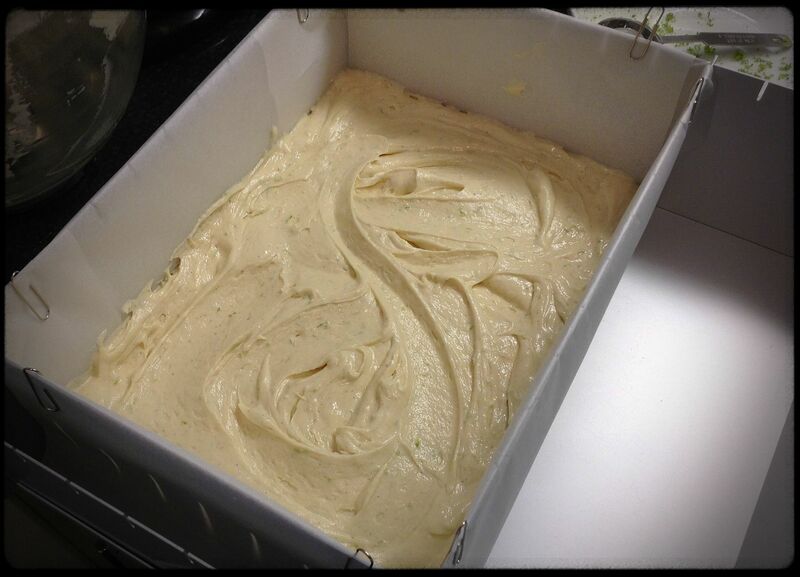 When Andy’s birthday rolled round (today, in fact) I took the opportunity to give the Gin & Lime cake another bash, hoping to improve upon my first effort. If the reviews are to be believed, I must have achieved my goal. Fully line your tin with baking parchment (to prevent the syrup from escaping or making the cake stick irretrievably to the bottom. This recipe works best as a single layer ‘tray-bake’ rather than a stacked cake, so a square or rectangular tin works well. It doesn’t really matter what size you choose as long as you adjust the timing so that you bake it until it’s done. I didn’t fancy schlepping a cake box across town to the pub so I used a broad-based paper carrier bag that had once contained lots of delicious chocolates. In a moment of unprecedented forethought that impressed even my mother (the queen of forethought), I measured the bottom of the bag and made my multisize tin fit (11” x 8” (leaving enough mixture for three small cupcakes (for Quality Control purposes, you understand)). I then discovered – to my delight – that it was almost exactly the size of my placemats, so one of those served as a cake plate. In the words of The A-Team’s stogie-smoking Hannibal Smith: I love it when a plan comes together. I digress. Again. Preheat your oven to 180C. Beat your butter until it’s creamy, add the sugar and beat for a good 4-5 minutes, until fluffy and pale. Add one egg at a time, beating thoroughly after each one. 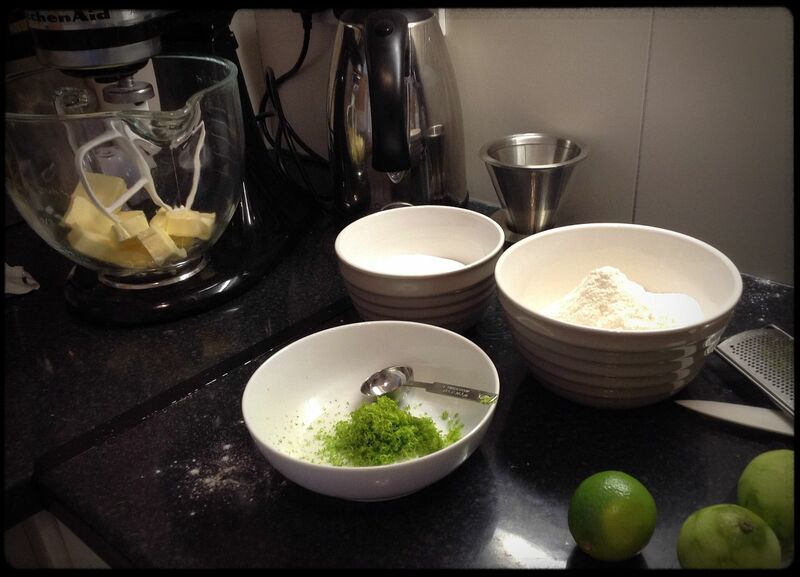 Zest the lime directly into the bowl and add the vanilla, then beat again. 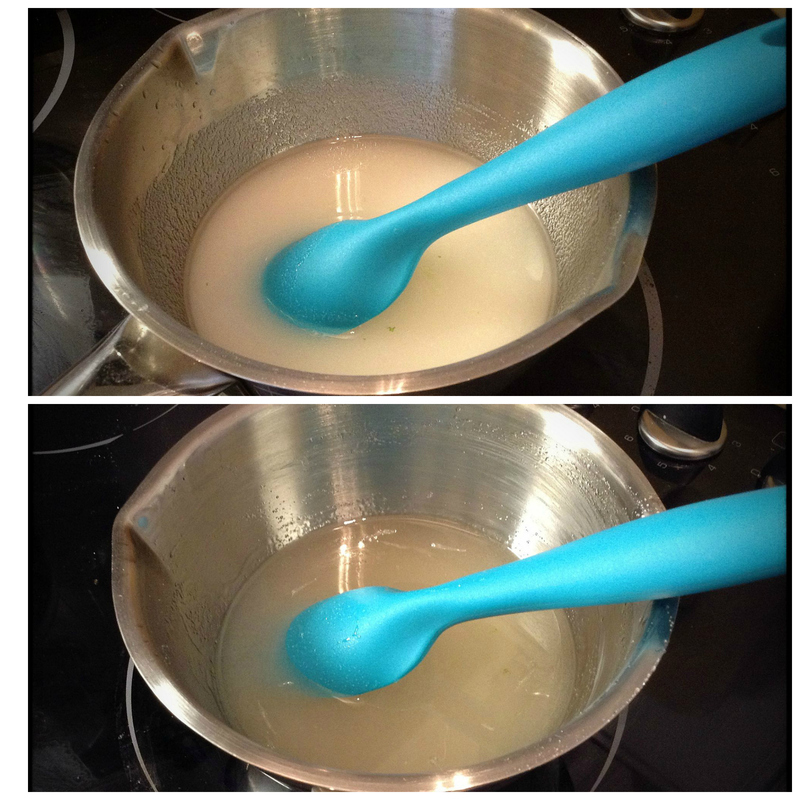 Mix the flour, baking powder and salt together in a separate bowl and add half to the butter mixture. 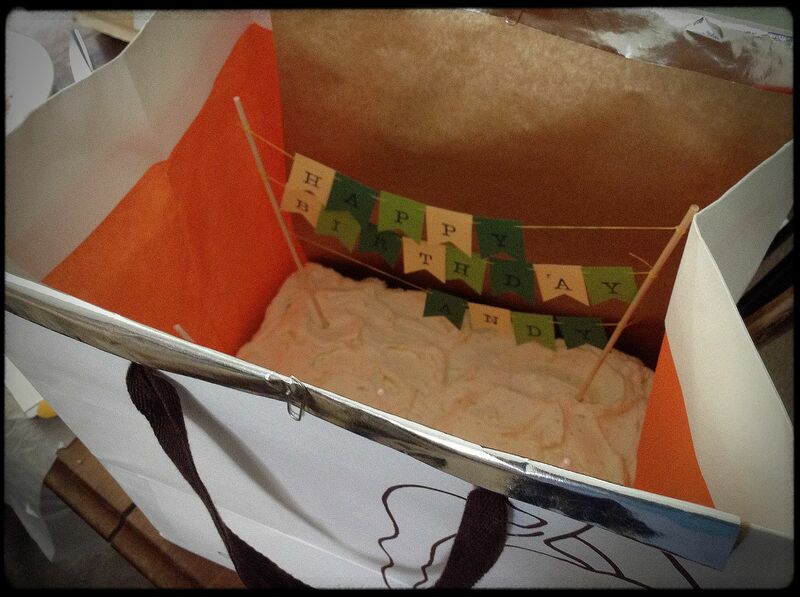 From this point onwards, avoid over-beating otherwise your cake won’t be as light as it could be. Beat gently, then add the gin, lime juice and milk, and beat gently again. Finally, add the rest of flour etc and beat just until thoroughly combined. Pour into your tin and bake for around 35-45 minutes, testing with a skewer to make sure it’s properly cooked. About 15 minutes into the baking time, put your syrup ingredients in a small saucepan and heat very gently (I have six heat settings on my hob and used the second) for approximately 10-15 minutes, stirring all the time. The idea is that you want the caster sugar to dissolve into the gin and lime juice without burning off too much of the alcohol – it might not all dissolve but the syrup will start to appear clearer, at which point take it off the heat and wait for the oven timer to ping. 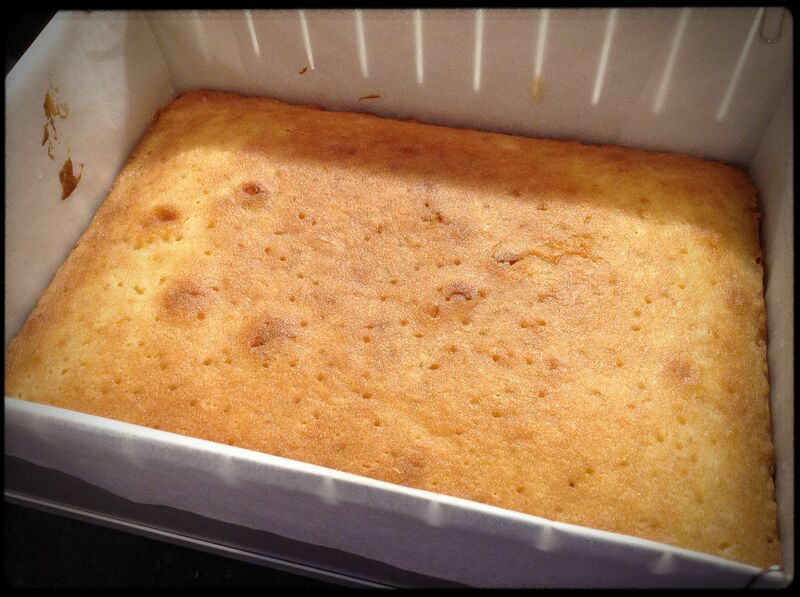 When the cake comes out of the oven, sit it on a cooling rack but leave it in its tin. While it’s hot, stab the cake enthusiastically with a skewer, then use a soup spoon to drizzle the gin syrup all over the cake (if you pour directly from the saucepan, you’re less likely to get even coverage). Leave to soak and cool completely. Standard buttercream instructions: throw the soft butter in the mixer and give it a good blast until it’s creamy, then sift the icing sugar in. Either mix it in gently with a rubber spatula or cover the mixer with a tea-towel before switching on at a low speed, otherwise a cloud of icing sugar will billow up into your kitchen, which will (a) make you choke and (b) necessitate the immediate recruitment of a white-coat-clad clean-up team. Zest the two limes directly into the bowl and blitz for a good 5 minutes. The longer you beat, the fluffier it will be. With the employment of a cunning cake-lowering-in-and-lifting-out device made from foil lined parchment and a bit of home-made bunting, the cake was ready for its journey to the pub in Angel. I was pleased to see that the mice in this establishment were so refined that they used cutlery to half-inch a bit of cake. 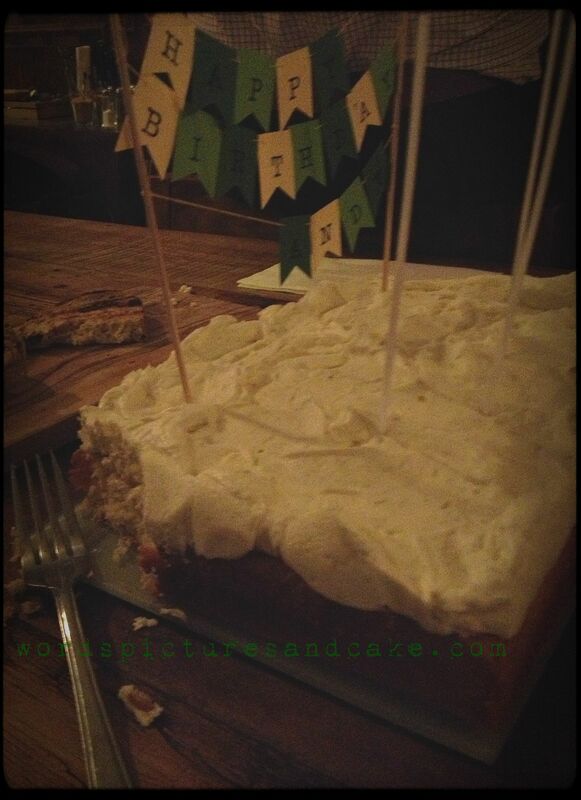 This entry was posted in Cooking & Baking and tagged birthday cake, boozy cake, gin & lime cake, gin cake, lime buttercream by wordspicturesandcake. Bookmark the permalink.